To make the game of Go easier to learn for the children from grammar school, a method of introduction based on a simplified rule has been developed for fifteen years in the school "Collège Saint-Etienne". 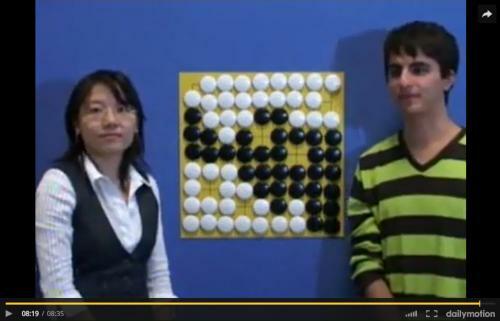 This rule is now known all over the world as the "Strasbourg rule of the game of Go". A flash animation and a video introduce it. The flash animation has been created in 2000 by Damien Berget and Raphaël Nicolas during their last studying year in the "Collège Saint-Etienne". Clic on the flag to download. The video has been filmed in 2008 by Frédéric Donzet. The rule is explained by Nyoshi Cao and Antoine Fenech, French Pair Go champions (mixed double) in 2013, 2014 and 2015. The video is in french. Created in 2015, Strasgo is a teaching application that allows the beginners to play on a small board with the Strasbourg rule. 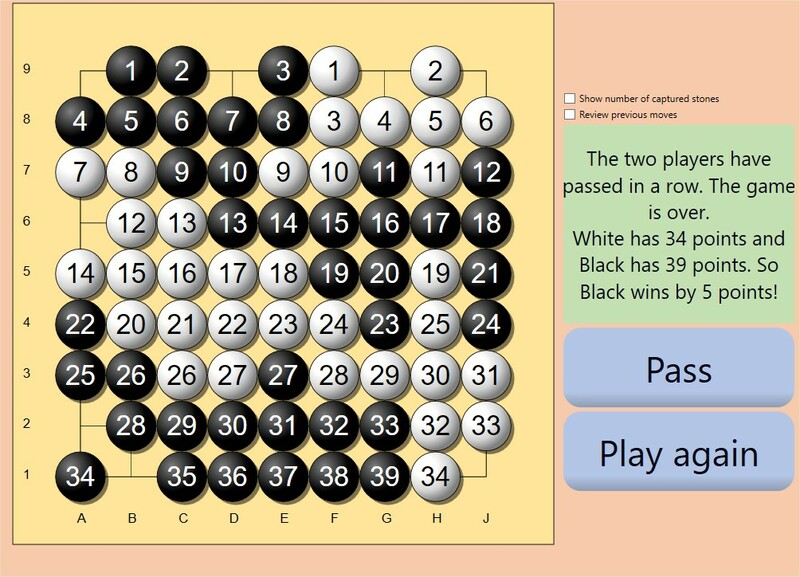 There is a two players mode or you can play against the artificial intelligence Pachi which has been tweaked to play the Strasbourg rule with a short thinking time. Despite those conditions, its level is quite strong. 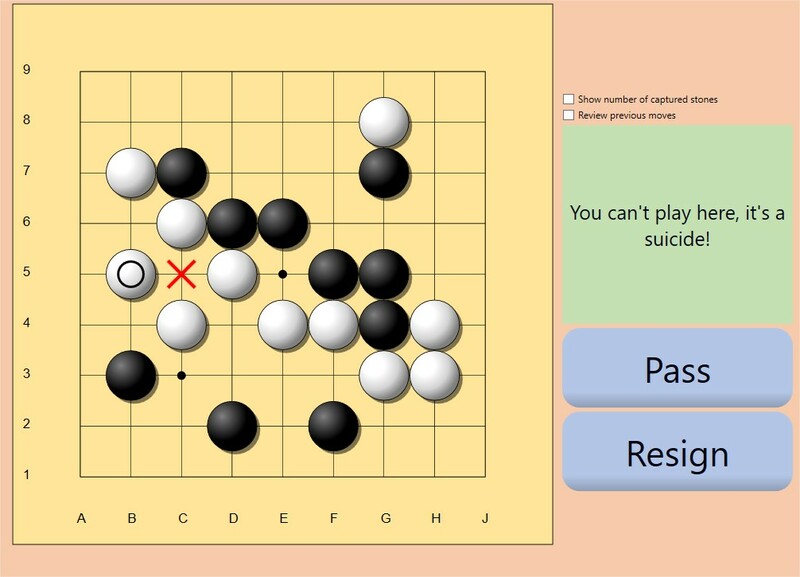 Strasgo indicates the forbidden moves (suicide rule, ko rule). Strasgo counts the number of stones on the board for you at the end of the game. We are developing a version of Strasgo playing on 13x13 and "Capture 5 stones"! If you have trouble with downloading or installing StrasGo, complementary information are available on the Help page.